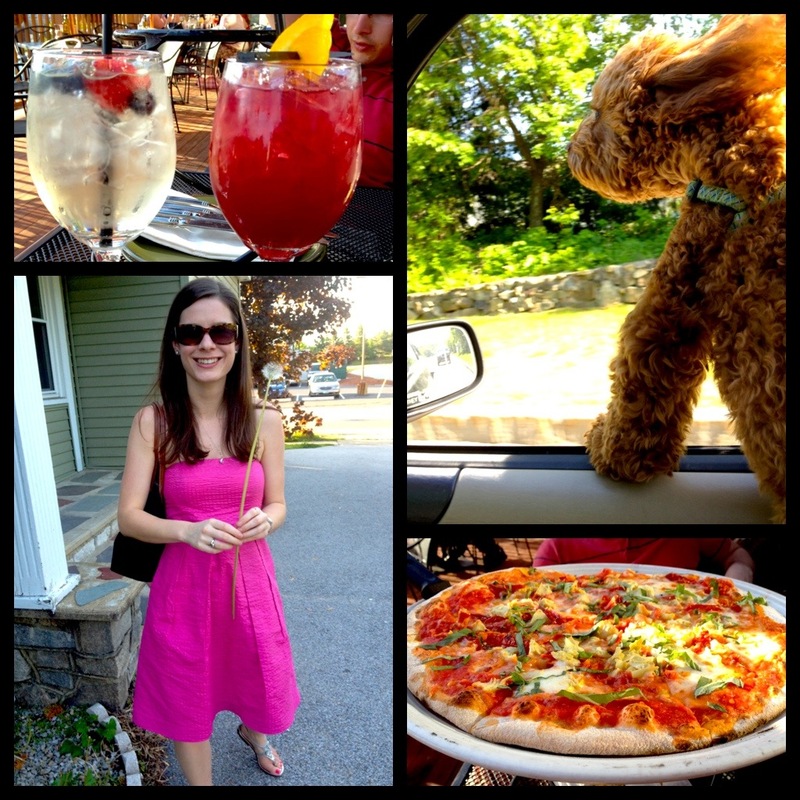 Lots of good food, sangria, Teddy and the longest dandelion ever! In order to make the lasagna a bit healthier, I used vegetables instead of meat and added spinach to the ricotta. 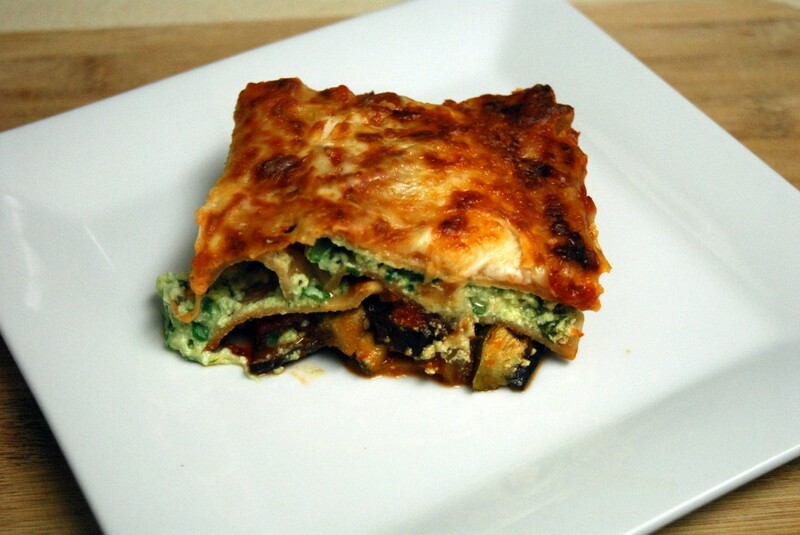 When you’re adding lots of sauce and cheese, it’s pretty easy to make the veggies inside the lasagna taste good! I was a bit apprehensive about whether it would turn out or not, but it ended up tasting delicious! It did take me a bit longer to make than I imagined, so set some time aside if you’re going to make this. It will be worth your time, I promise! 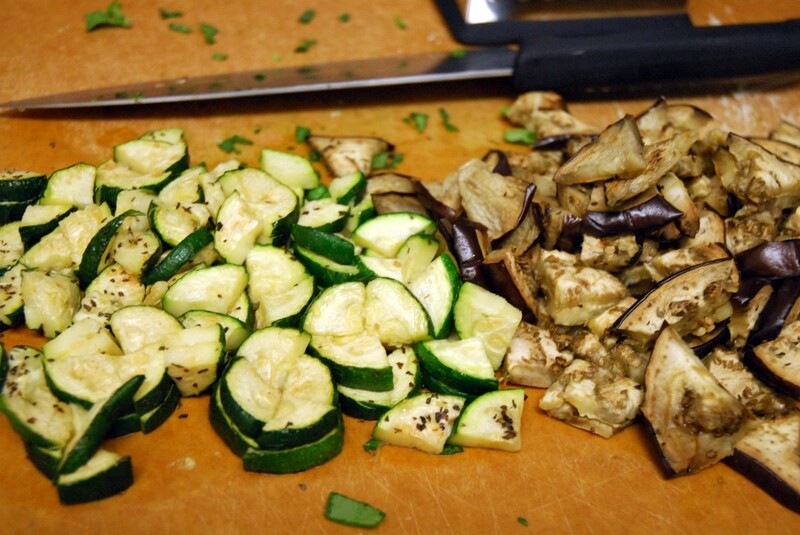 First, preheat your oven to 450 and slice the zucchini and eggplant. Place them on an oiled baking sheet and sprinkle with basil, salt and pepper (I had to use an additional baking pan). Roast the vegetables at 450 for 20 minutes, until tender, flipping halfway through. 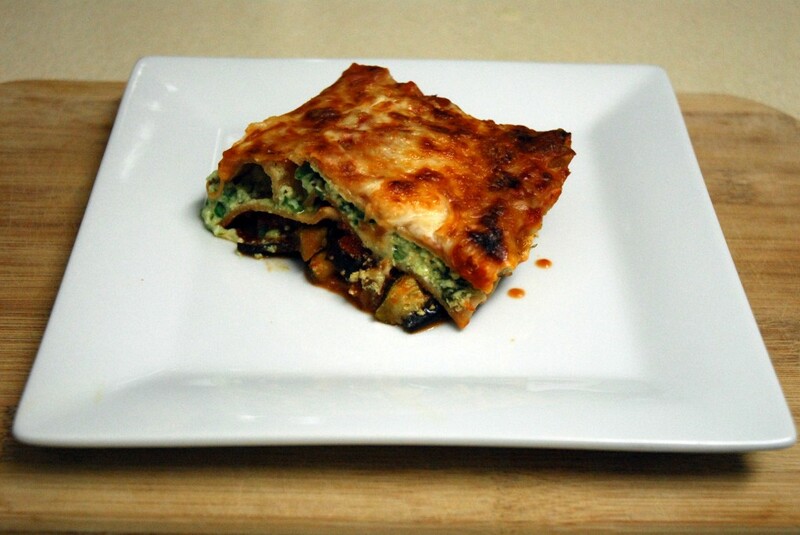 While the vegetables are roasting, cook your lasagna noodles according to package instructions and chop up the spinach. Then mix together the ricotta, egg, parmesan, basil, salt, pepper and chopped spinach in a large bowl. When the vegetables are done roasting, chop them into bite sized pieces. Then begin assembling your lasagna layers. First cover the bottom of your baking dish with pasta sauce. 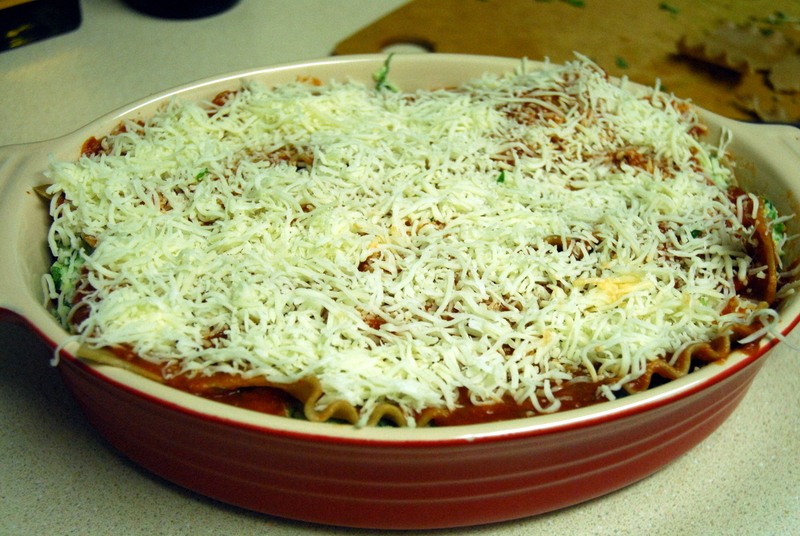 Then place three cooked lasagna noodles over the sauce. Add another layer of sauce followed by the chopped vegetables. Top the vegetables with more sauce, followed by another layer of three lasagna noodles. Then add the ricotta mixture over the second layer of noodles. Follow with a final layer of three lasagna noodles. Then top with the remainder of the sauce and a layer of the shredded mozzarella cheese. Cover the lasagna with foil and bake the lasagna at 350 for 30 minutes. Uncover the lasagna, and bake for another 10 minutes. If you’d like the cheese to brown, broil the lasagna for a final 5 minutes. Let cool and set for 10 minutes and enjoy! 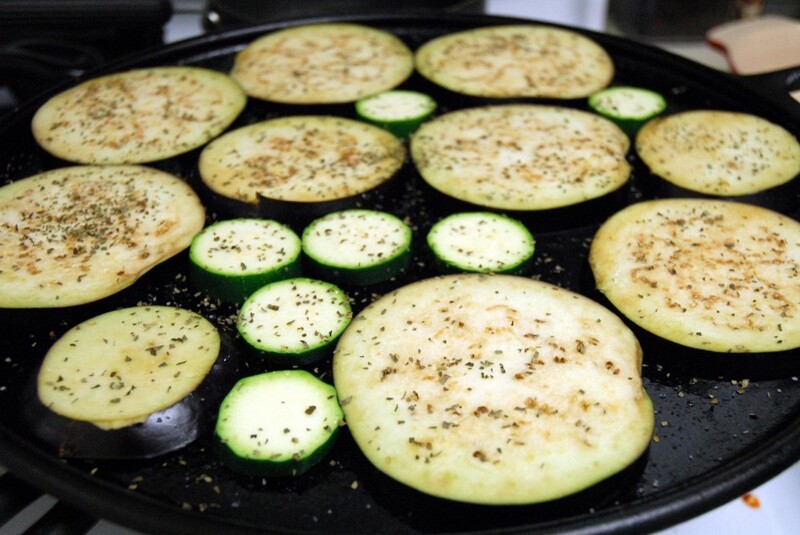 Slice the eggplant and zucchini and place them on a greased baking sheet. 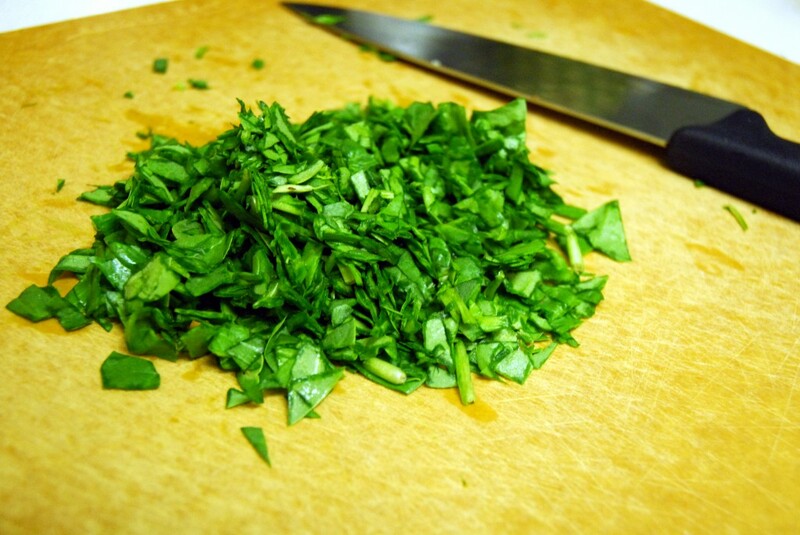 Sprinkle them with 2 teaspoons of basil and salt and pepper to taste. Roast them at 450 for about 20 minutes, until tender, flipping them halfway through. While the vegetables are cooking, cook your lasagna noodles according to the package instructions. 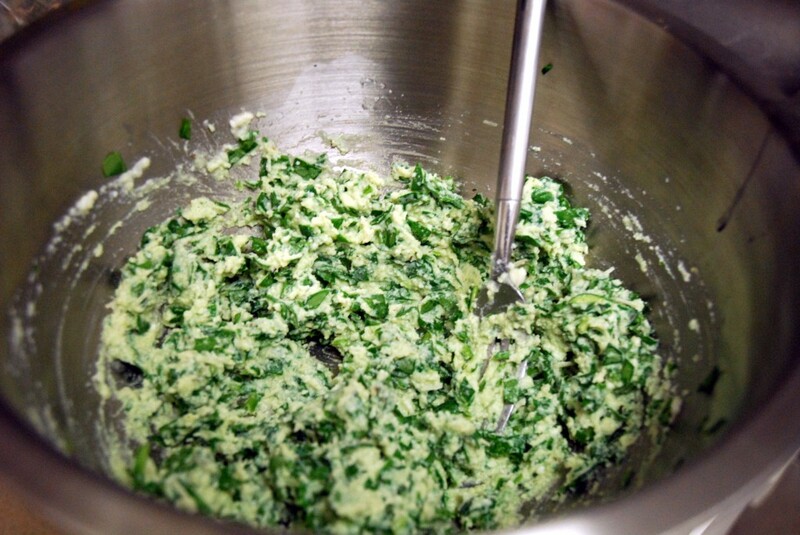 Also chop up the spinach and mix together the ricotta, grated parmesan cheese, egg, basil, salt, pepper and chopped spinach in a small bowl. When the vegetables are done roasting, reduce the oven heat to 350 and slice the vegetables into bit sized pieces. Then begin assembling your lasagna layers. First cover the bottom of your baking dish with pasta sauce (I used a 14 inch oval baking dish). Then place three cooked lasagna noodles over the sauce. Add another layer of sauce followed by the chopped vegetables. Top the vegetables with more sauce, followed by another layer of three lasagna noodles. Then add the ricotta mixture over the second layer of noodles. 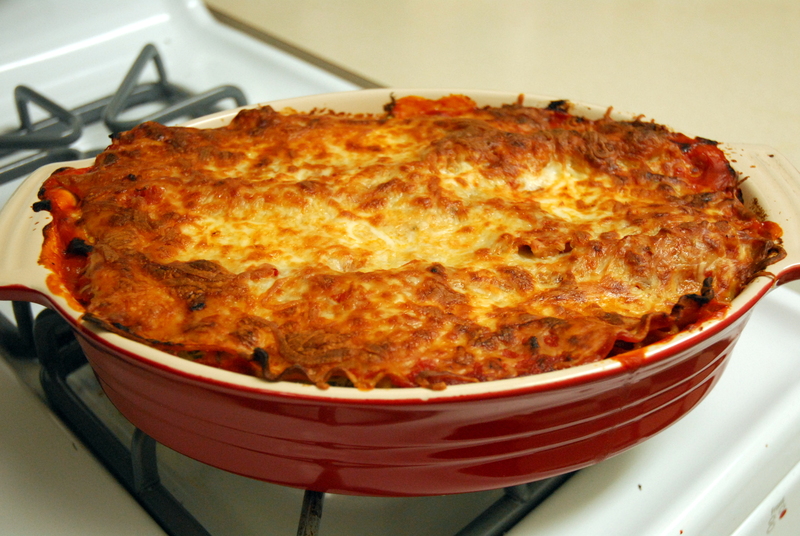 Follow with a final layer of three lasagna noodles. Then top with the remainder of the sauce and a layer of the shredded mozzarella cheese. Let the lasagna cool and set for 10 minutes. 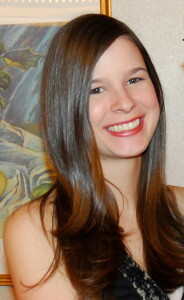 This entry was posted in Italian, Recipes, Vegetarian and tagged Italian, lasagna, vegetarian. Bookmark the permalink. My mom makes THE BEST lasagna. The key is having a great sauce!